Each year more than 1,000 Texas fifth and sixth graders pledge to remain drug-free at the Capitol Red Ribbon Rally, organized by the HHS Drug-Free Texas Prevention Media Campaign. Representing the Corpus Christi, Houston, Dallas, San Antonio and Austin areas, students march with placards raised high to the south steps of the Capitol for a motivational outdoor presentation. After the presentation, students work at different booths to write letters to state representatives about ideas for reducing substance abuse in their communities. The rally features a performance troop who will engage with each of the participants on how substance abuse affects communities. The Annual National Red Ribbon Campaign began in 1985 in response to the murder of Drug Enforcement Administration Agent Enrique “Kiki” Camerena. Parents and youths made a commitment to raise awareness of the destruction caused by drugs in America by wearing red ribbons as a symbol. Today, the Red Ribbon serves as a reminder for communities to educate youth and encourage their participation in prevention activities that are drug-free. Kiki Camarena was a DEA agent who was tortured and killed in Mexico in 1985. He told his mother when he decided to join DEA, "I'm only 1 person. But I want to make a difference." On Feb. 7, 1985, as Camarena left to meet his wife for lunch, 5 men grabbed him and put him in a car. Almost a month later, his body was found with indications that he had been tortured to death. To honor Camarena's memory, friends wore red badges of satin, and parents formed coalitions to fight the use of alcohol and other drugs. With Camarena as their model, the coalitions built on the idea that 1 person can make a difference. They also adopted the symbol of the red ribbon. National Family Partnership held the first National Red Ribbon Celebration in 1988. Today, the Red Ribbon brings communities together through drug prevention education and activities for youth, reaching millions of U.S. families. National Family Partnership and its network of organizations use the yearly National Red Ribbon Campaign to deliver Camarena’s message of hope. Educators and prevention specialists can use these classroom lesson plans to engage fourth, fifth and sixth graders during Texas’ Red Ribbon Week. The curriculum has been updated to address specific Texas Essential Knowledge and Skills (TEKS), English Language Proficiency Standards (ELPS) and College and Career Readiness Standards (CCRS), making this an even more valuable experience for students and teachers. HHS and Drug Free Texas are excited to provide these resources in support of the Red Ribbon events throughout the state. 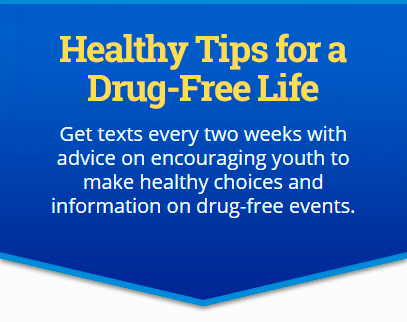 The Healthy Choices Lesson Plan (PDF) teaches students how drug and alcohol use can be prevented by making healthy choices. Students will identify the concerns they have about drug and alcohol use, discuss the dangers of new drugs they may see at school and learn some positive ways to refuse these substances if they are offered to them. The Legislative Lesson Plan (PDF) teaches students how alcohol and drug use can be prevented through the legislative process. They will learn how laws are made, write a drug or alcohol prevention bill, and debate the bill before a mock legislature comprised of their peers. The mock legislative session can be staged in the classroom.